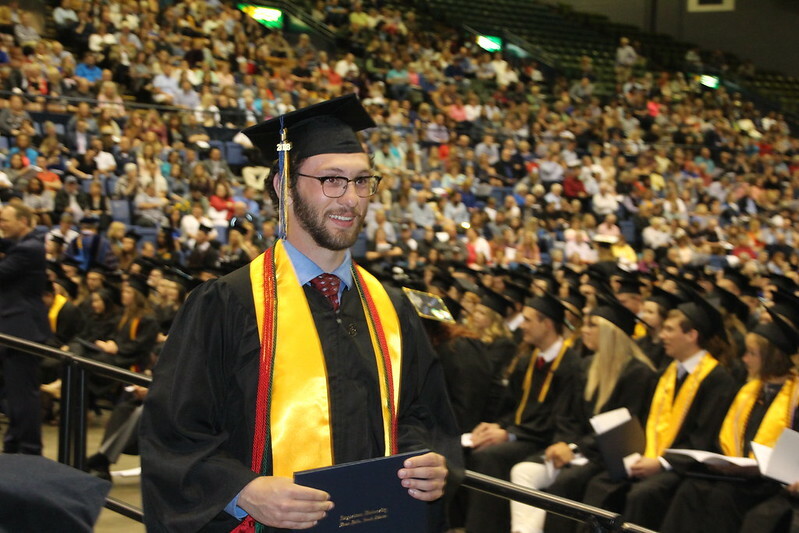 On Saturday, May 19, Augustana University honored the achievements of nearly 400 individuals at the 2018 undergraduate Commencement Ceremony, held at the Sioux Falls Arena. Watch video from the ceremony. The ceremony featured remarks by Minnesota Supreme Court Justice David Lillehaug '76, who spoke "On Becoming a Public Citizen," and Hannah Norem '18, who spoke on "Failing Forward." The event also recognized five students who earned certificates of completion for their participation in the Augie Access Program, an innovative, comprehensive post-secondary transition program for students with intellectual or developmental disabilities. Learn more about this program in this KELO-TV feature.